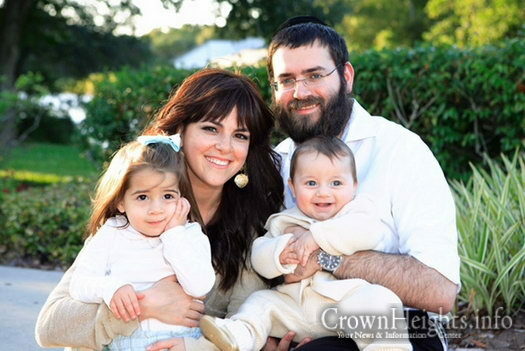 Rabbi Chaim and Seema Lipszyc, along with their two young children, Chana and Nissim Chai, will be moving on Shlichus to Hernando County in Florida’s greater Tampa Bay area to start a Chabad center and reach out to local Jews. “I want to share our vision for the Chabad Center. To create a home for everything Jewish. 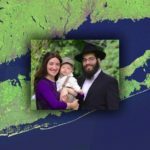 Where everyone feels welcome as family,” Rabbi Chaim Lipszyc told a local newspaper. “Regardless of background or previous experience or how one labels themselves. We see everyone as Jewish period. No labels. We welcome all to participate in celebrating the joys of Judaism,” explained Lipszyc. Rabbi Lipszyc will be serving under the auspices of Chabad Lubavitch of Tampa Bay. Born and raised in Long Island, New York, he studied in rabbinical schools in New York, Toronto, and Israel. After completing his studies, he was ordained by leading US Rabbis in 2014. His wife Seema, a native of Tampa Bay, studied and graduated with a teacher’s degree majoring in Judaic Studies in Tzfat, Israel. 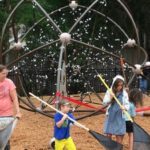 As youth Director for Chabad of Tampa Bay, she directed Camp Gan Israel, as well as implementing many successful programs for the Jewish community. In addition, Seema has taught at the Hebrew Academy in Tampa, as well as in Schools in New Jersey and New York. 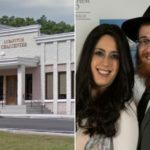 For more information about Chabad Lubavitch activities in Hernando County, or to make a donation, visit them on the web: www.chabadspringhill.com. if he can only peak tru the clouds . wow would he be smiling now !!!!!!!!!! !